This early-release chapter of the 12th edition of the IADC Drilling Manual details the key information needed by rig personnel to properly use and maintain wire rope, with emphasis on obtaining the maximum safe life from the drilling line. 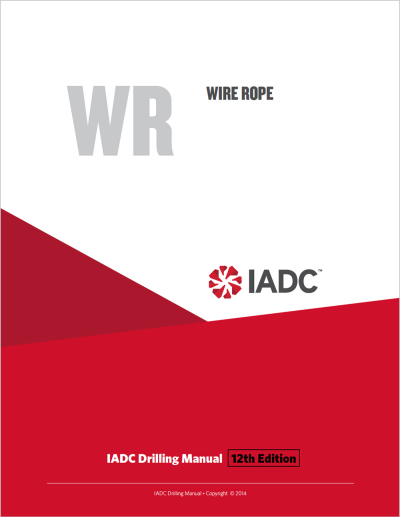 The newly released and updated eBook shows how to select the proper size and type line to meet requirements, maintain and care for the line to prevent damage, compute service in Ton-Miles, and choose a cut-off program best suiting conditions. Includes numerous example calculations. 18 illustration and 47 tables. 73 pages, including 2-page appendix. © IADC. All rights reserved.